Smallville Legends: The Last Days of Krypton? 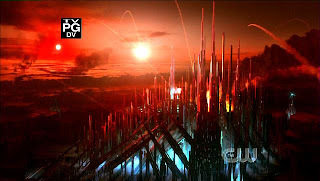 A certain Smallville podcast is reporting that a source has told them the next mobile series of Smallville Legends is going to be about final days of Kal-El’s home planet of Krypton. If it’s true it’ll be wicked, their last series “Justice and Doom” was done well, even though it was just a campaign to sell the car, the series put the events of the Justice League’s 33.1 mission into the episode “Prototype”. Back to the main subject, what we speculated on the show of what happened on Krypton with everything that was brought up in the show with Brainiac, Zod’s global war, Raya’s character, the events which lead to Zod being trapped in the Phantom Zone, the Jor-El/Zor-El fued, and how does Martian Manhunter fit into all this.